Utagawa Kunisada/Toyokuni III (1786-1865) Portrait of Nakamura Shikan IV,1860’s. Oban. 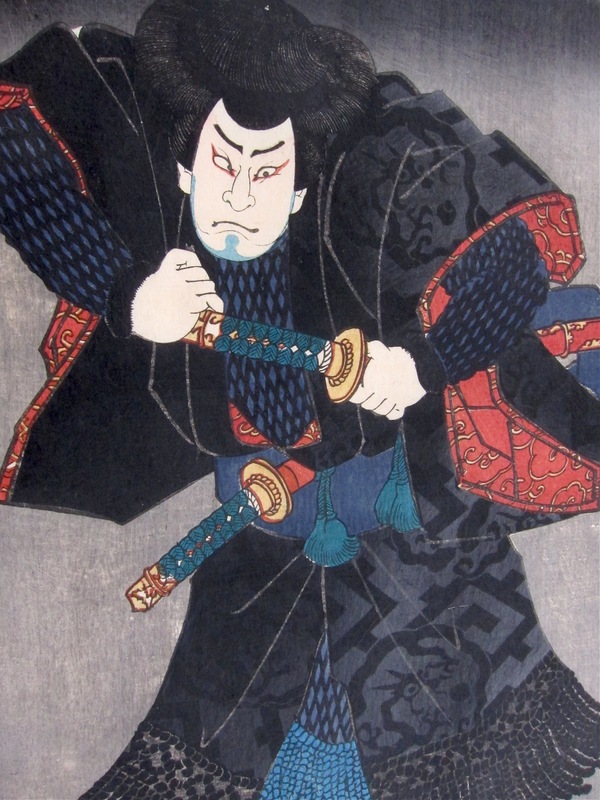 This striking portrait of Nakamura Shikan catches the actor in a dramatic mie, the alarming cross-eyed expression which is traditional in kabuki and expresses a point in the restrained performance when the action is stilled and the actor puts all his skill into a single pose that evokes the character and the dramatic point of the scene. This is a fine print and typical of the later portraits of Kunisada. The background is modest, the effect being concentrated on the portrait itself. Here we see that Shikan’s robes are richly embellished, his black outer garment having reflective patterns of shomen-zuri applied to the surface. 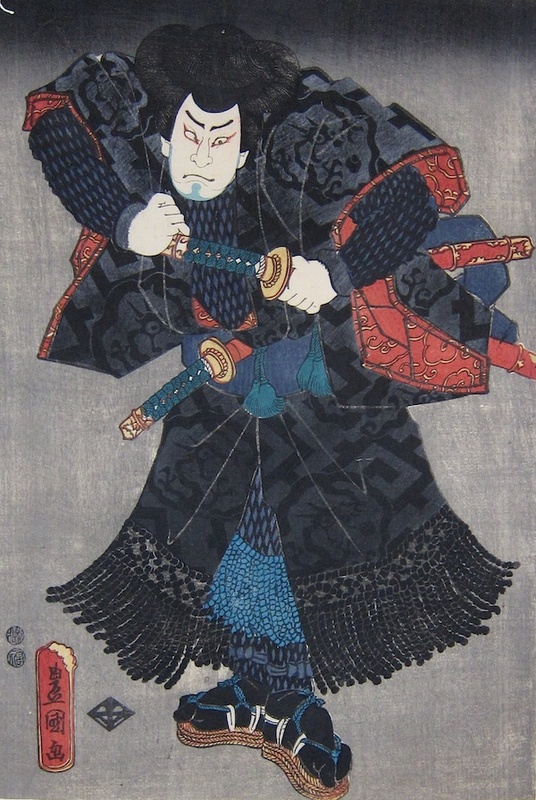 Kunisada uses his typical later palate of blue-blacks and reds to great effect to emphasise the brooding darkness of the figure. Full size, fine impression, colour and condition. Small wormhole top right restored.